Hello all! The summer season is in high gear here in the desert of Las Vegas! The temperature all week is 110 and the pool 85 degrees. This is the life. So, why am I cooking and heating up the kitchen? Actually, I started 8 am this morning. Let me tell you how I came up with this idea. I was shopping at Walmart and saw an interesting brand of cupcake mix. There were rainbow cupcakes and camouflage cupcakes. I looked at the box and it looked like everything you needed was in the box. I had seen rainbow cupcakes before and decided to go home and look around for recipes. I did find a recipe that described how “easy” these would be but I had to go find my own white cake recipe to start the process. I was a little concerned about using Brighids Silicone liners for this recipe, because you couldn’t see the multitude of colors after baking. But we will deal with that later. Then it struck me, 3 colors would be way easier than 5 colors. Fourth of July Cupcakes, the colors shall be red, white and blue. So, I did a few substitutions on this recipe. 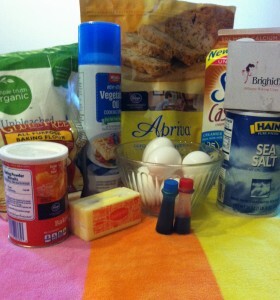 I was going to use the gluten free flour, but decided against to guarantee my mix would be closer to white than brown. I also used Cashew milk which is definitely an interesting twist. I chose a white cake recipe, actually it was called Lane cake, but without the filling. As I was going down the recipe I felt like I was really making something gourmet because of the six egg whites. Make sure the butter is at room temperature because it makes the mixing so much easier. As you know I do everything by hand so preparation was very long on these cupcakes. 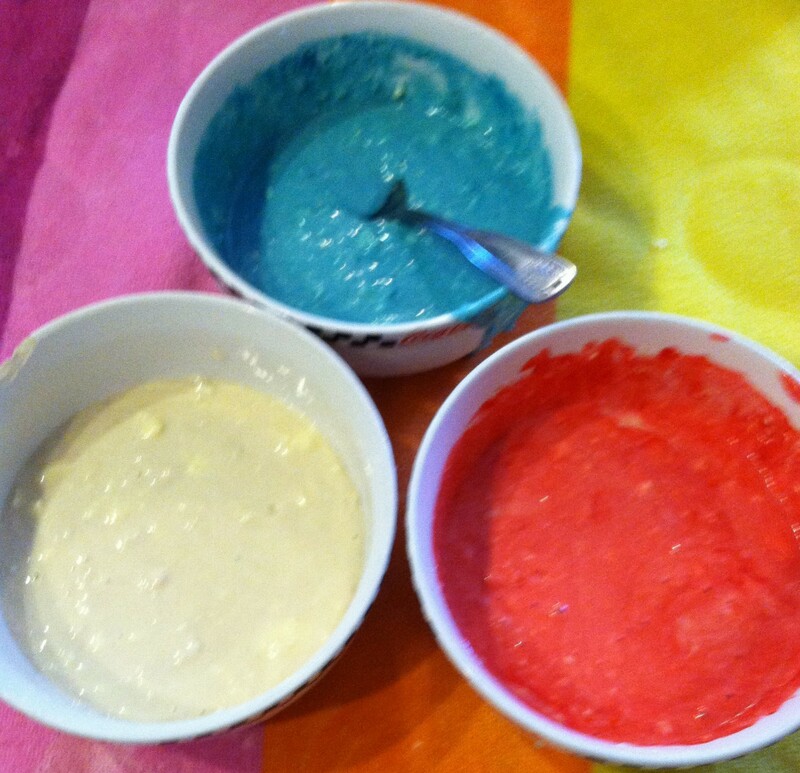 It was fun putting the batter into three different bowls. It was even more enjoyable to watch the colors change as I put the drops of food coloring into the bowls. It was kind of odd to try to keep the colors separate as I was dispensing them into Brighids Silicone liners but in the end it worked out pretty good. These cupcakes looked great coming out of the oven, it only took 20 minutes. I put frosting on a few of the cupcakes while they were warm. These are definitely the best cupcakes I have ever made. The egg whites and the cashew milk really made difference. After the cupcakes cooled it was much easier to put the frosting on. I just used some leftover buttercream frosting I had. 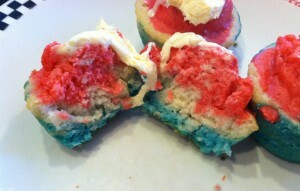 Although some of the cupcakes are oddly shaped and the colors aren’t exactly perfect, I think they looked great! I took some pictures in and out of Brighids silicone liners. Well, I hope you enjoy making these as much as I did and have a safe and sane holiday. Happy Fourth Of July!! Prepare your favorite white cake mix, then divide the batter evenly among six small bowls. Dye each bowl of batter a rainbow color (with specific amounts of food coloring drops). 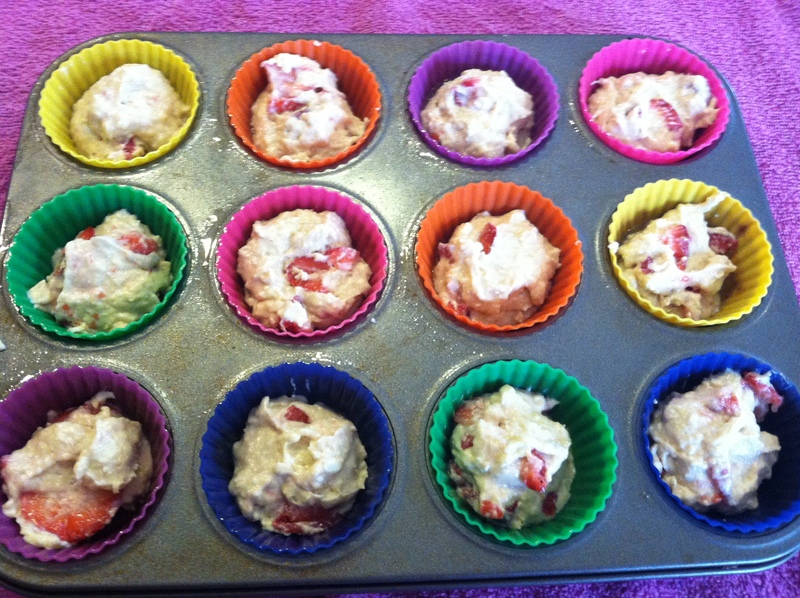 Line 16 a muffin tray with cupcake cases.. Evenly distribute the purple batter among the cups, then the blue, and so on, following the order shown. As you go, gently spread each layer of batter with the back of a spoon to cover the color underneath. Bake the cupcakes according to your recipe directions. Before serving, remove the paper wrapping, and if you like, top each cupcake with a whipped-cream cloud. Hello gourmets, chefs, mommies and girlfriends! The internet never ceases to amaze me with the countless, unheard to recipes to use with my Brighid’s Cupcake Baking Cups! I want to hit up every genre of human being and this week it is the vegetarians! I have some exposure to vegetarian menus but this is the first item using tofu. The ingredients were fun to shop for and I found almost everything! 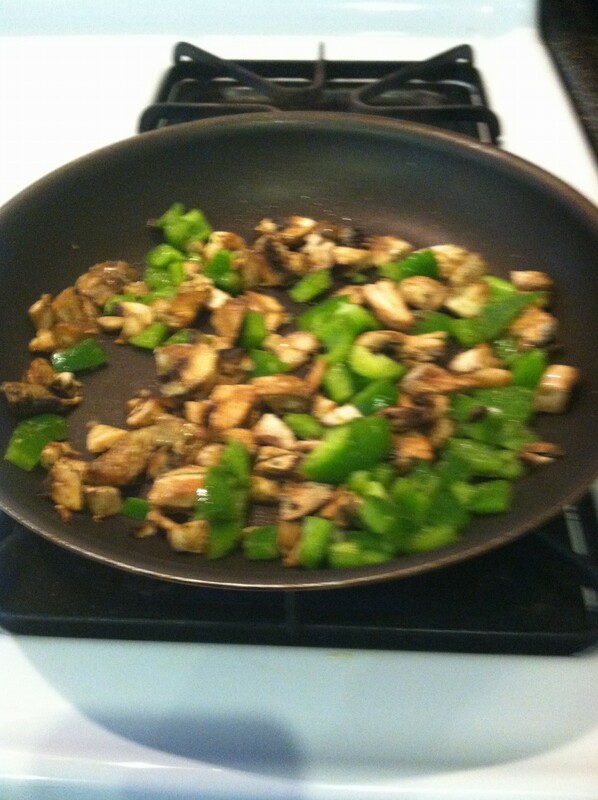 There’s something about using fresh vegetables and sautéing in a pan that feels so gourmet to me. It was great to cook the veggies as the smell permeated the house. As you may or may not remember I do everything by hand but I think I was able to get everything the texture that I wanted, The one substitute I did use for fresh garlic, was garlic salt. That may have been a mistake. 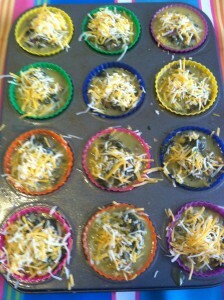 This is what they looked like before going into the oven. So, the cooking time was a challenge. 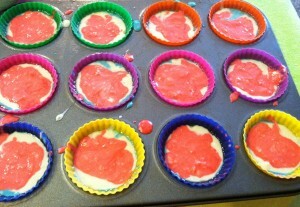 I was using a metal pan, but was also using Brighid’s Cupcake Baking Cups made from silicone of course. 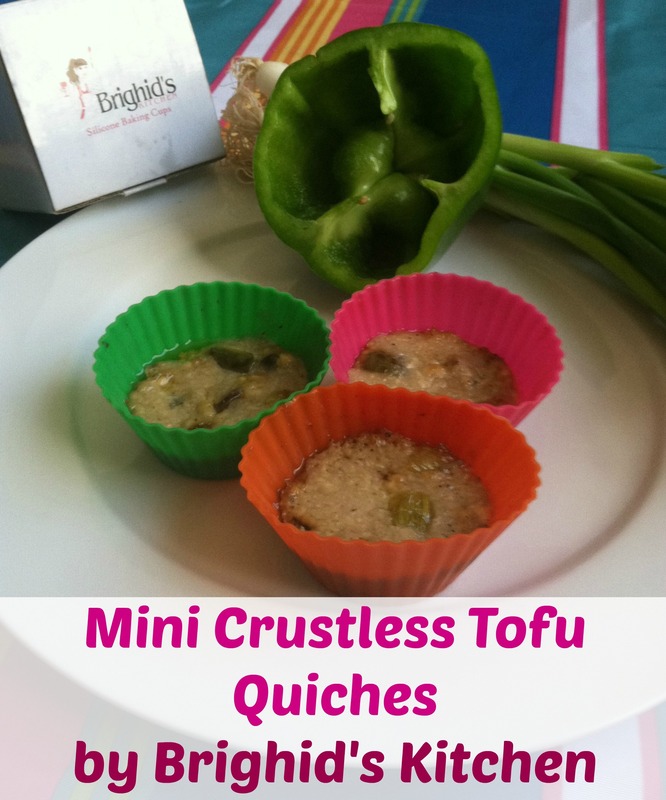 So after 20 minutes the Mini tofu quiches were not ready. I kept on baking them at 5 minute increments because it looked like there was a lot of liquid on top. I finally quit after 40 minutes and removed them from the oven. I let them cool for 10 minutes or so. They still had a little pool of liquid on top. I decided to let them dry out in the desert air for a couple of hours. That did work a little bit. I tried to sample them and only the bottom of the quiche, actually looked and felt like a quiche. I tried the microwave for 20 seconds to no avail. The best way to dry these out was put in the refrigerator. The first bite I could taste all the spices and vegetables. The third bite I could really taste the salt! Is tofu naturally salty? I did not have the turmeric so I skipped that ingredient, I also realized I substituted garlic salt for the onion powder, so that explains my salty taste. If I try this recipe again I will try to find the tofu that the writer suggests, because she warned of the liquid from the tofu could be a problem, although I added an extra tablespoon of cornstarch to try to thicken it up. As I have said before, I’m here so you can learn from my mistakes. This was definitely one of the trickier recipes that the seasoned vegetarian would have no problem with. Good Luck! 1.Preheat the oven to 375 F. Spray 12 regular-sized muffin cups well with non-stick spray or use silicone cups like these. 2.Heat a non-stick skillet and sauté the garlic, bell peppers, and mushrooms over medium heat until the mushrooms just begin to exude their juices. Stir in the chives, rosemary, and freshly ground black pepper, remove from the heat, and set aside. 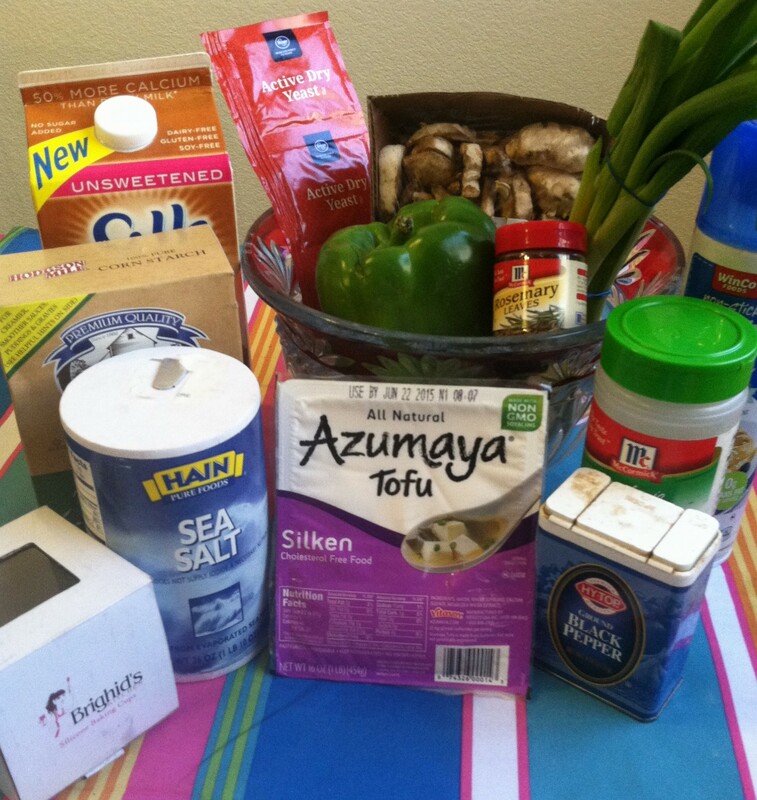 3.Place the tofu and all remaining ingredients into a food processor or blender. Process until completely smooth and silky. 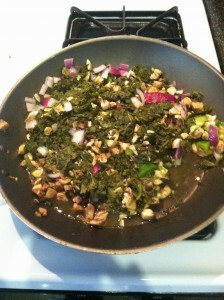 Add the tofu mixture to the vegetables and stir to combine. 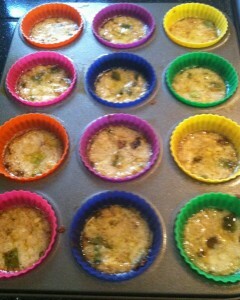 Spoon equally into the 12 muffin cups: it will fill regular muffin cups about halfway. 4.Put the muffin pan into the oven and immediately reduce the heat to 350 F. Bake until the tops are golden and a knife inserted into the middle of a quiche comes out clean–about 25-35 minutes depending on your oven and muffin cups (silicone will take longer than metal, so if you’re using a metal pan, check it at 20 minutes). Remove from the oven and allow them to cool for about 10 minutes. Enjoy! They’re light, so plan on making more of these—or serve hearty side dishes—if you’re serving more than 3 people. I use Lite, Silken Firm Mori-Nu Tofu, and judging from the comments of people who have made the quiches with other brands, other types of tofu don’t give the same firm results. If you can’t find Mori-Nu, I suggest adding extra cornstarch, though I can’t promise you that the results will be the same as mine. Hello Summertime chefs! Do you still feel like cooking? I was looking for a recipe that would be a cool and soothing dessert. 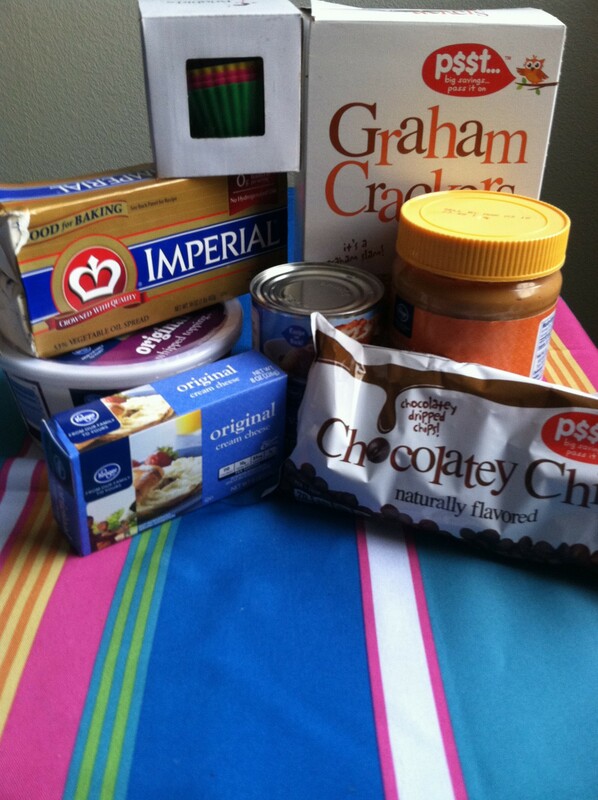 I chose this cheesecake recipe, brought the ingredients home, started assembling and mixing ingredients and realized I was making a baking cheesecake rather than a no bake cheesecake! At first I thought I was just going to be cooking the crust, but soon found out I was cooking the whole cheesecake! This recipe has 3 steps, is easier than it looks, but is definitely time consuming, mostly waiting. My Brighid’s Kitchen cupcake cups are definitely getting a work out! Since this is my second recipe using graham cracker crumbs, I felt like a pro grabbing my juice glass and crunching away at a much faster pace than the first time! 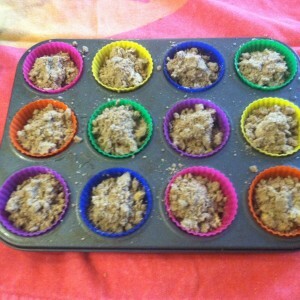 I put the graham cracker crusts into Brighids cupcake cups, put them aside and started whipping up the meat of the recipe. The cream cheese was pretty easy to whip up after leaving at room temperature for a couple hours. Once I added the sour cream, I felt confident it was starting to look and feel and taste like cheesecake! After putting the cheesecake into the oven, realizing I forgot to set the timer but pulled them out just in time. The looked absolutely beautiful, kind of like lemon meringue pie. I am currently waiting the required 3 hours of cooling before starting the topping. 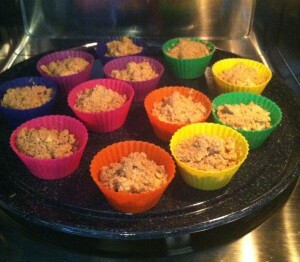 So, I patiently waited for the mini cheesecakes to cool. First of all, can I tell you how hard it is to squeeze lime juice out of a lime I the middle of the desert? Ha ha! Next time I buy the pre-squeezed juice. I prepared the topping or glaze for the cheesecake. It was kind of a joke. It seemed like a lot of work for nothing. It barely made any glaze at all, so I feel it didn’t make much of a difference. I wasn’t sure what o do about the fruit either. 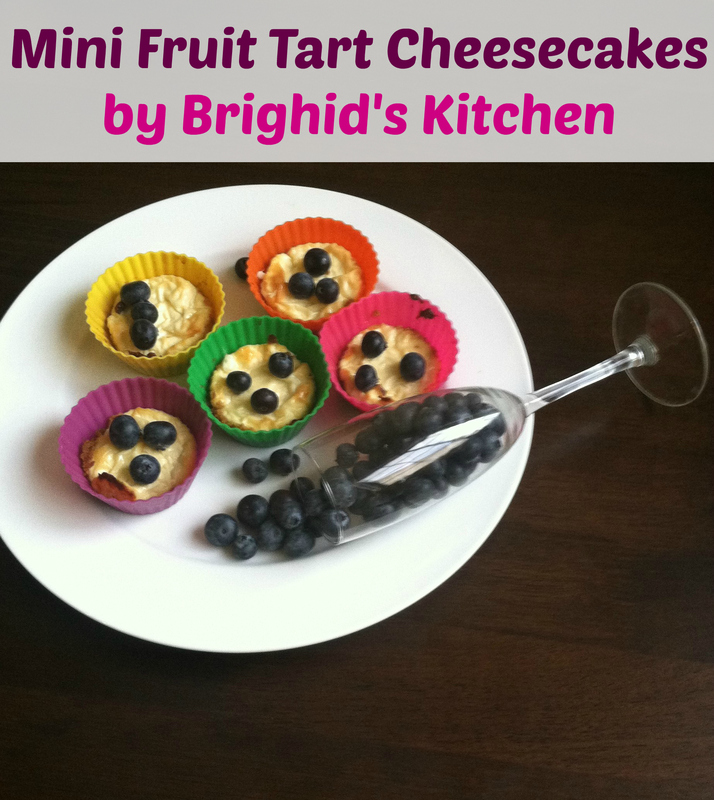 I wish I would have bought 2 kinds of fruit, but the mini cheesecakes look better with only a few blueberries on them, rather than a lot. It was finally sampling time. The mini cheesecakes are almost more crust then cheesecake. They pop right out of the Brighid’s cupcake cups, as usual, and after a couple bites, they were gone! My brother was living with me for he past month, so he was my official sampler. 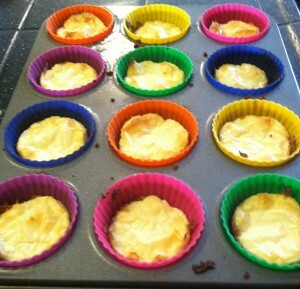 Now I will have to deliver the rest of these mini cheesecakes to my daughter, because they are way too good! Enjoy the pool! Preheat oven to 350°F. Line 12 muffin cup holes with liners. Evenly divide (about 2-2 1/2 tablespoons each) cheesecake among crusts. Bake for 18-20 minutes, until they just begin to brown. Cool completely and refrigerate for at least 3 hours or overnight. 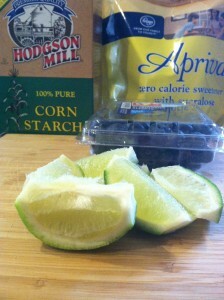 To make the topping, place the lime juice, sugar, and cornstarch in a small saucepan over medium-low heat. Stir until it boils, then cook for 1 minute. Remove from heat and let cool to room temperature. It will thicken as it cools. 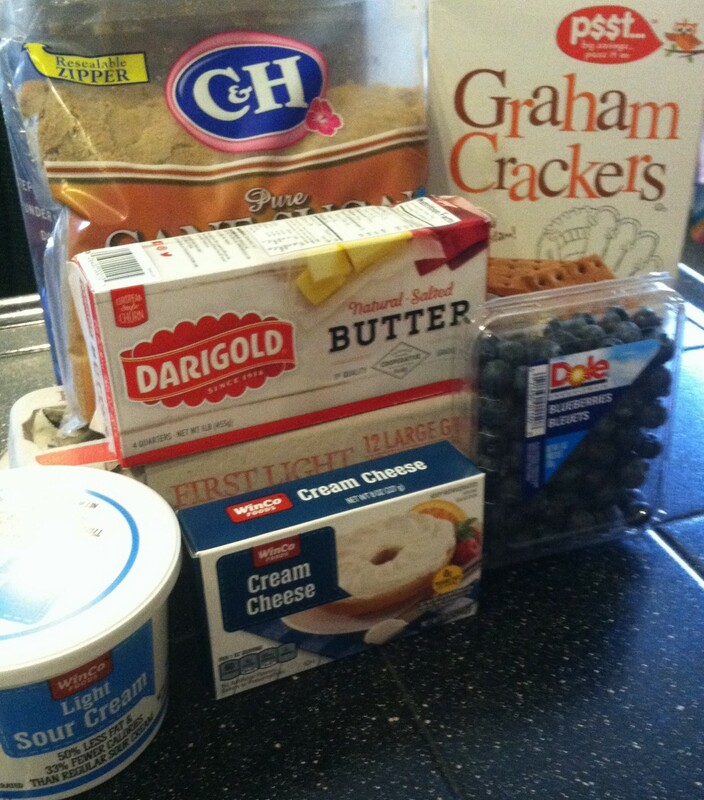 Assemble the cheesecakes close to serving time. Brush the top of each cheesecake with a bit of the lime syrup. Place berries on top and brush the berries with more syrup. Chill until ready to serve. (The fruit is best added the same day as serving.) The fruit won’t stick to the cheesecake - it’s more of just a topping. Store loosely covered in refrigerator. Cheesecakes will last up to 4 days in refrigerator or can be frozen for up to one month. Once you add the fruit, eat within the day. Hello friends and fellow cooks!! I am going off in left field today. I was excited to bake something totally new and different. 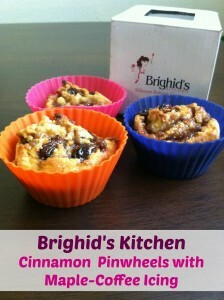 It seems that the choices are endless and you can cook almost any genre of recipe in these Brighid’s baking cups! I needed to go to the store and buy a few ingredients which included tortillas, salsa and sour cream. My local grocery store is being remodeled, so it was an almost impossible task! 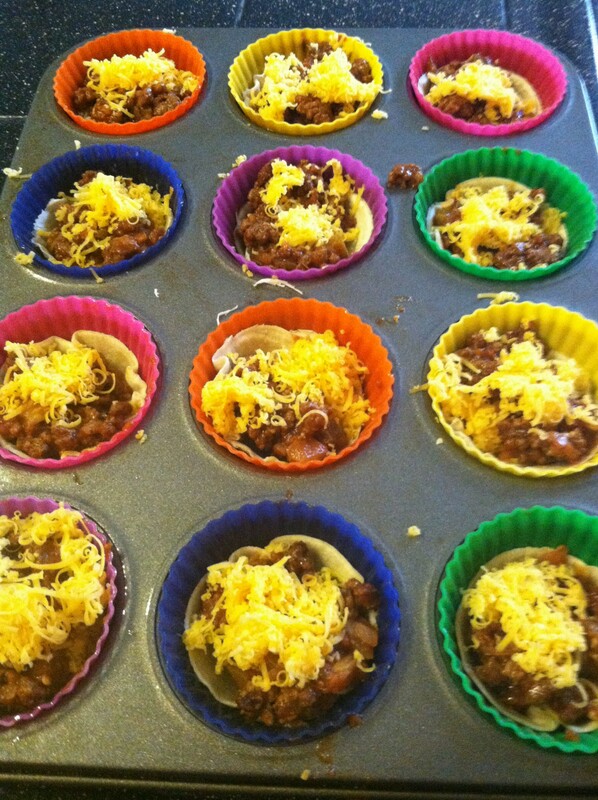 When I got home I started preparing the baking cups by spraying them with the cooking spray as usual. While the oven preheated, I started working on the tortillas. I didn’t have a cookie cutter so I used the top of a drinking glass to cut the tortillas. I was able to get four small tortilla round out of each large tortilla. After smashing the rounds into the baking cups, I realize next time I may want to make them bigger. Now that I had completed the tortilla cups, I proceeded with preparing the meat. I substituted the chicken with ground beef. I added taco seasoning and the salsa to the meat and boy was spicy! I had bought a cheese grater at the 99 cents store and the holes were way to small. When I grated the cheese it turned out like fluff. Cheese always seems to taste better when its grated, but this was going a little overboard. I put the cheese in the bottom of the baking cups, added the meat mixture and also put cheese on top before putting them in the oven. 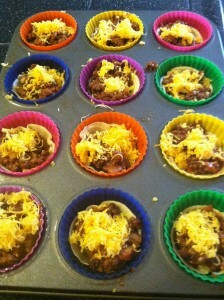 While the meat and cups were cooking I prepared the toppings for the taco cups. I sliced and diced red onions, lettuce, avocados and tomatoes. The cheese melted in about 5 minutes, so I decided to keep an eye on the meat mixture. Twenty minutes were just fine in the oven. 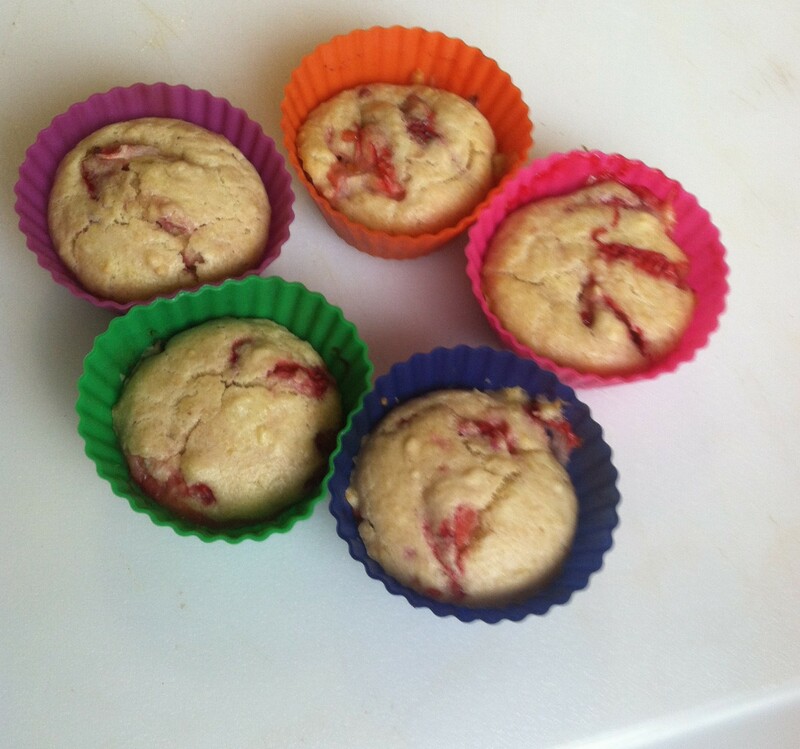 Just to make sure you are reading my blog, I want you to make a note in the comments and see if you can tell by the pictures what other ingredient I substituted and what did I use? The cups and meat mixture came out perfect and it was fun to load as many ingredients as possible on top of these Brighid’s Baking Cups. In the end, you can either leave these mini tacos in the cups or slide them right out and pop them in your mouth. Another successful recipe! 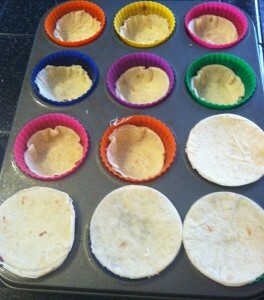 Using 4-inch round cookie cutter, cut 2 rounds from each tortilla. Place rounds on microwavable plate; microwave on High 15 seconds to soften. 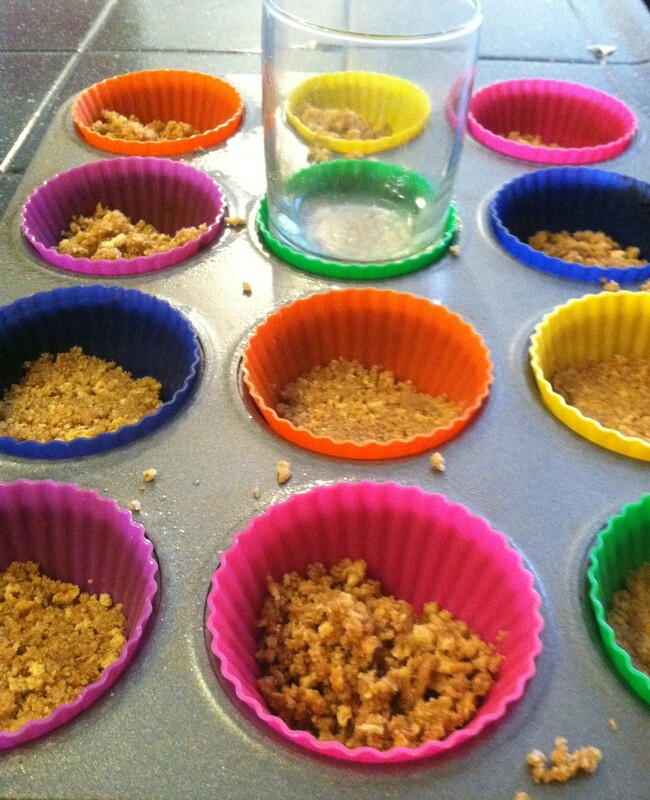 Place each in muffin cup, using bottom of small juice glass to press into each cup. In medium bowl, toss chicken with 1 cup salsa. 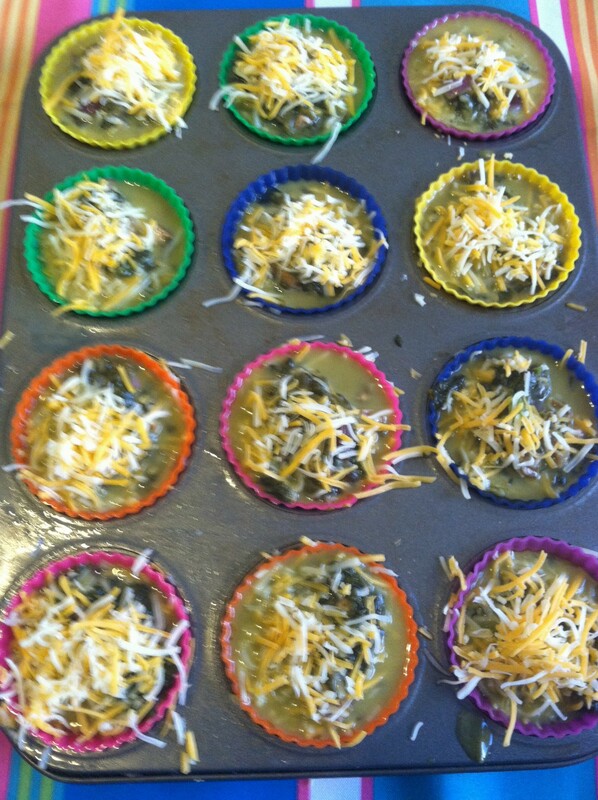 Place 1 teaspoon cheese in bottom of each tortilla-lined cup; add 1 heaping tablespoon chicken mixture to each. Top each with another teaspoon of cheese. Bake 18 to 20 minutes or until cheese is melted and tortillas are crisp. 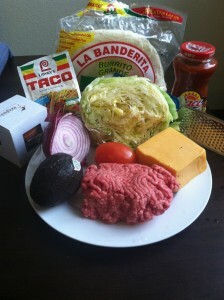 To serve, top each with lettuce, sour cream and additional salsa or your favorite taco toppings. Hello Mommies and foodies and employees and cooks! I’m going off into a different world and different use for the silicone pudding cups. As we have discovered Brighid’s Baking Cups can be used for muffins, cupcakes and quiches. 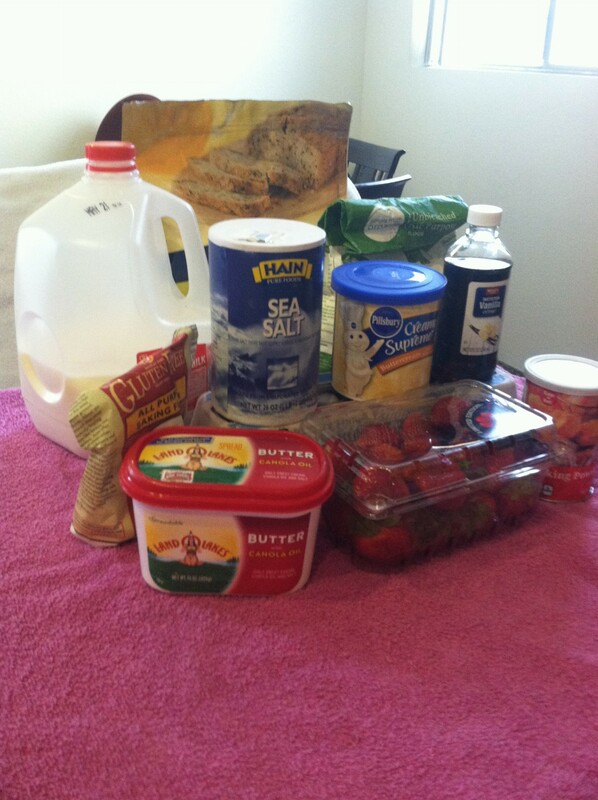 Today we are going to try a non cooking recipe. Because the weather is hopefully heating up for you all, we are going to try some frozen desserts. As I was searching for this recipe, I also saw several others that caught my eye. Never a dull moment, who knew it would be so much fun! So as I was gathering what seemed like a small ingredient list I thought this would be a super easy recipe. I sprayed the silicone pudding cups out of habit, but realized I probably didn’t have to because we are freezing this recipe, not cooking! I replaced the butter with margarine and the mini chocolate chips with regular. My peanut butter actually has honey flavor, so there are all kinds of twists and turns in this recipe, and we will see how it turns out. I started with the graham crackers. I had no idea it would be so hard to turn the crackers into crumbs. I used the bottom of a measuring cup and it took a lot of work, but that’s what happens when you do everything by hand! Let me know if you discover an easier route! After mixing the graham cracker crumbs with the melted butter, I realized I should have doubled the recipe, because it was barely enough to fill 12 pudding cups. 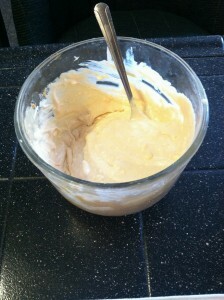 The second part of the recipe was pretty easy to mix up the cream cheese, peanut butter and cool whip. Once I put the chocolate chips on, I felt like I had actually created something amazing. I always like to tease my facebook friends to guess what Im cooking and today they saw the ingredients, and the pudding cups, they didn’t care what I was cooking, but they knew they wanted some! So, the mini peanut butter pies are in the freezer and I will sample them much later today.UPDATE. Ok, I have sampled the skinny frozen peanut butter pies! They are super yummy. The original recipe said the crust would be super flaky and would have to eat them out of the pudding cups, but that is not true. You can hold these pies directly out of the freezer and pop them in your mouth. I’m excited to try more frozen recipes in the future! Line a 12-cup muffin pan with paper liners. Stir graham cracker crumbs and melted butter with a fork. 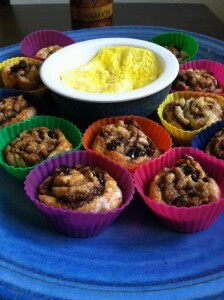 Evenly divide among the muffin cups (about 1 1/2 tablespoons per each). Press down to compact (I use the bottom of a shot glass and it works perfect for this step). Beat cream cheese with a hand mixer in a large bowl until smooth. Beat in sweetened condensed milk and peanut butter. Fold in Cool Whip. Divide batter among muffin cups, about 2 tablespoons per each. 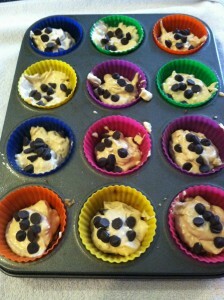 Top each pie with 1/2 teaspoon of mini chocolate chips. Freeze overnight before eating. The crust is crumbly, so it’s best to eat these right from the paper liners. Its the month of May and I thought something with strawberries would be a good idea. 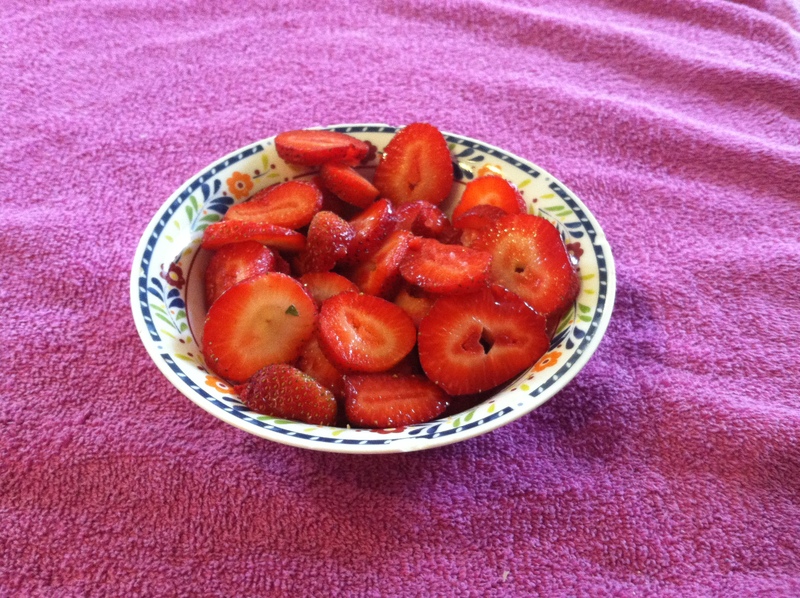 Strawberries is kind of a symbol of spring, along with flowers. We have to grab fresh fruit when we see it in the desert, because we never know when the next shipment is coming in. 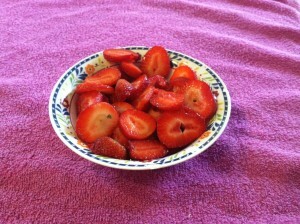 My strawberries were semi ripe and sliced easily. I already had most of the other ingredients and thought this would be fun to make, and it is Mothers Day and my birthday weekend. I once again used artificial sugar and I also used margarine instead of butter. 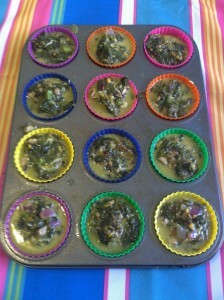 Other than that I followed the recipe using Brighid’s Silicone Cups! It was kind of hard to mix the ingredients by hand, because I don’t have an electric mixer. It felt good though, because I always think it taste better when you mix by hand. The margarine eventually softened and a sweet texture was produced. There wasn’t really anything complicated about the recipe at all. There were a few different necessary bowls , but in the end everything blended great. I thought the batter was too thick, but it ended up being ok. When it comes to the sliced strawberries, you might want to do them a little smaller than I did because it might affect your cupcakes as a whole. If the slices are too big, it makes the cupcake moist on the bottom, while they are in Brighid’s Silicone Cups! The recipe says it makes 34 cupcakes, but it only made about 20 cupcakes for me. 20 minute cooking time was perfect. The 2nd batch turned out a little larger than the first. I bought premade icing which turned out just fine. The cupcakes were fun to put icing on, especially since I that part since I didn’t have to make that part! Make sure you let the cupcakes cool before putting the icing on. 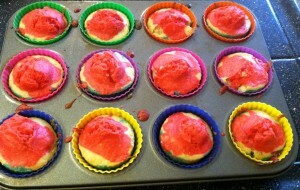 These cupcakes turned out more like muffins to me, but slipped right out of Brighids Silicone Cups. What exactly differentiates a muffin from a cupcake besides the frosting? We will have to investigate this! I’m going to try something totally different next week, so be prepared and Ill see you then! 1Preheat oven to 350 degrees. Line standard muffin tins with paper liners. Whisk dry ingredients in a large bowl. Cream butter and sugar with a mixer until light and fluffy. Add eggs, 1 at a time, beating after each addition. 2Reduce speed to low. Mix milk and vanilla in a bowl. 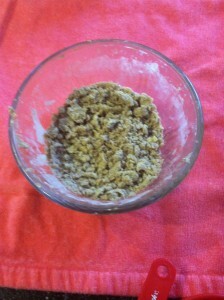 Add dry ingredients to butter mixture in 3 additions, alternating with milk mixture and ending with dry ingredients. Stir chopped strawberries into batter. Scrape sides of bowl. 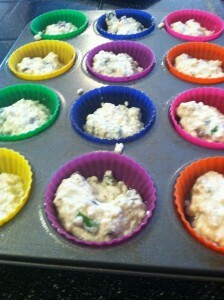 Divide batter among muffin cups, filling each 2/3 full. 3Bake cupcakes until testers inserted into centers come out clean, about 20 minutes. Let cool in tins on wire racks. Once cupcakes are cool, frost tops with Strawberry Buttercream. Frosted cupcakes will keep, covered and refrigerated, for up to 2 days. Top with a strawberry just before serving. How is everyone doing out there in baking land? Excited for the kids to get out of school? I always loved the month of May! It feels like forever since I got up and did some baking! I often just grab a recipe, look at the ingredients and sometimes don’t even know what I’m getting myself into! 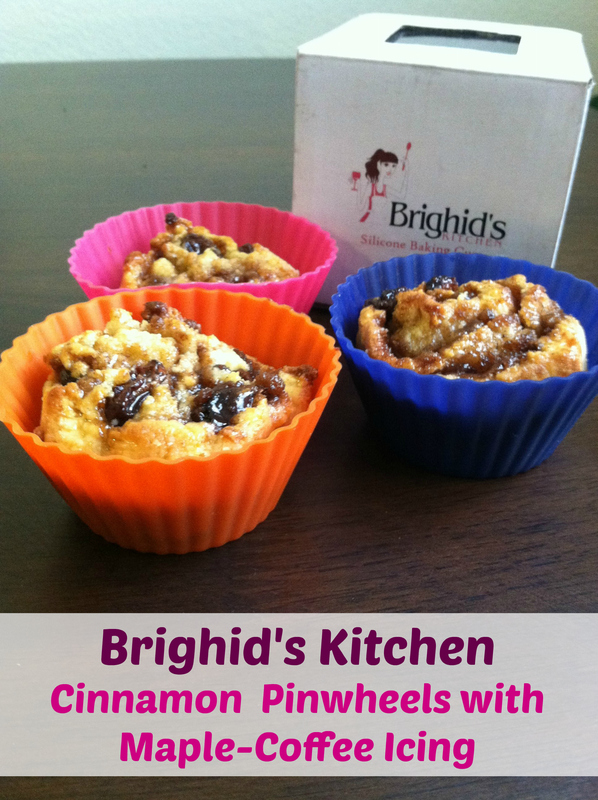 I know anything with cinnamon and sugar has to be good, so grab your Brighid’s Muffin Cups and let’s go! 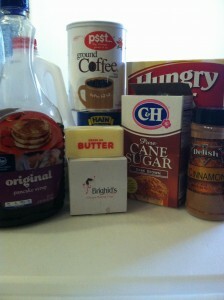 I purposefully am using a recipe that uses Bisquick to see if its any easier than homemade. 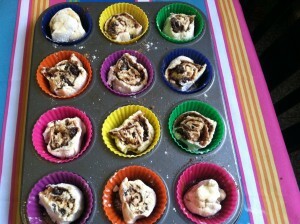 The icing looked more complex than the actual cinnamon pinwheels and the actual amount of ingredients is pretty small. 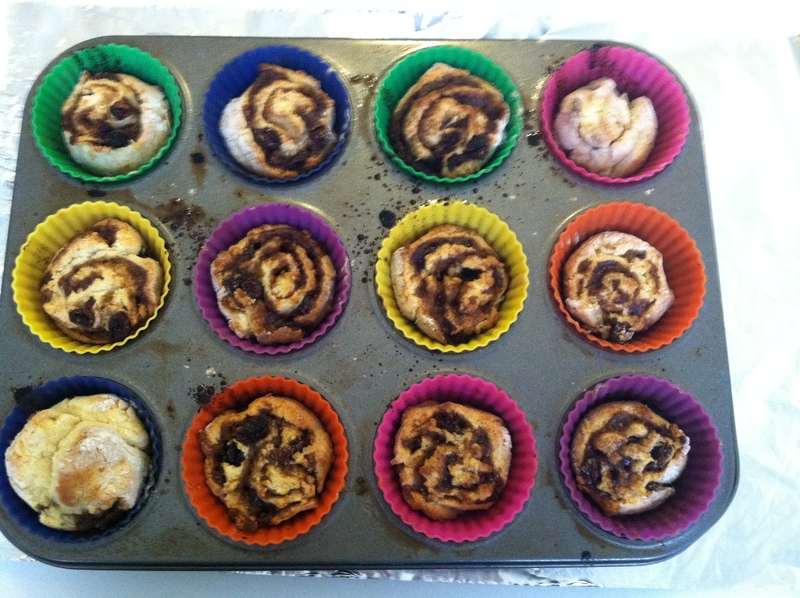 The girl who posted this recipe actually doesn’t care for cinnamon rolls or nuts! I decided to add raisins. I sprayed the Brighid’s Muffin Cups and put them aside. Kneading and rolling out the dough was very simple. 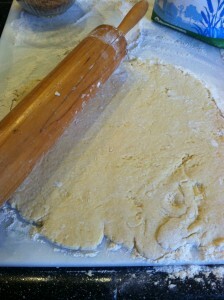 The dough was very delicate when I rolled the dough into a sausage shape, so be careful. As always the 2 end pieces of a cinnamon roll log look funny, but I tried. The rolls were the perfect size for Brighid’s Muffin Cups. I would change a few things about this recipe. I’m not sure if putting cinnamon mixture in the bottom of the Muffin Cups was a good idea, or maybe I shouldn’t have sprayed them. Also when I flipped them upside down they were not pretty so I just flipped them back over before I put the frosting on. The frosting was weird texture and just wouldn’t thicken up no matter how much powdered sugar I added. The frosting was more like a glaze. After putting the cinnamon rolls back into Brighids Muffin Cups and taking photos I finally sampled the cinnamon rolls. They held together well and they tasted good, but it doesn’t seem like all the flavors meshed together. I did use pancake mix instead of Bisquick, so that my have made a difference. Its just not like Grandpa’s Cinnamon Rolls, which is one of my specialties, made from scratch. This is great for all you busy women out there, it really didn’t take that long. 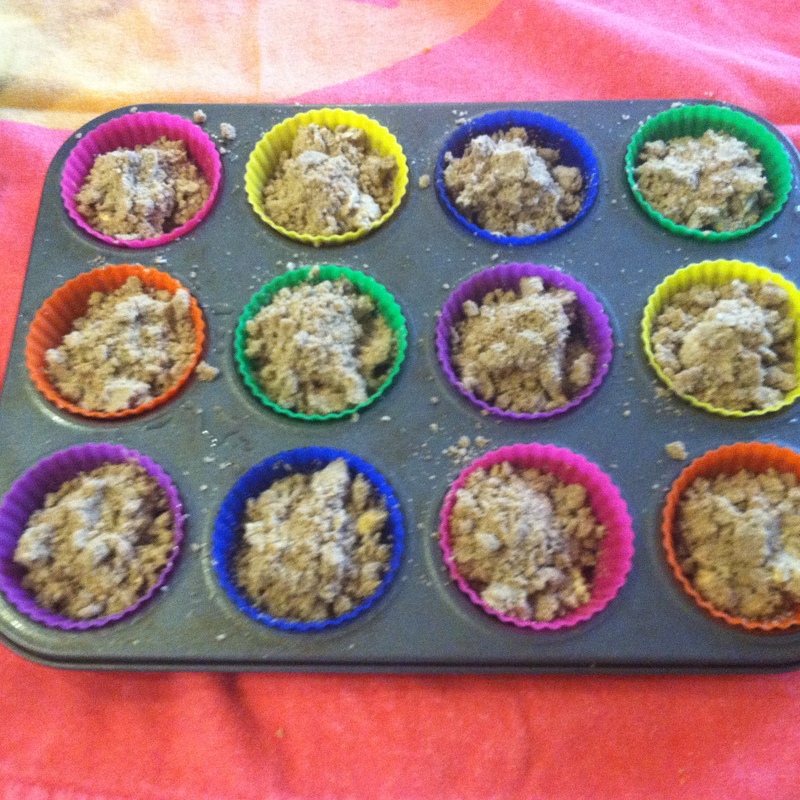 Even though the sugar mixture bottom of the Muffin Cup was slightly burnt, they were super easy to clean. Preheat oven to 400°F. 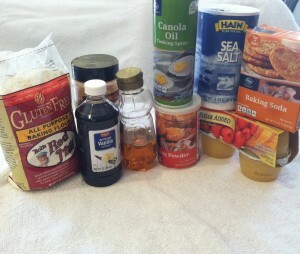 Grease a muffin sheet with non-stick cooking spray or line with paper liners and set aside. 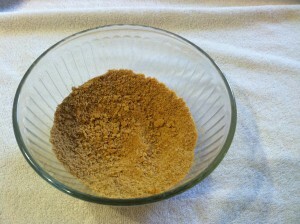 In a small bowl, mix together the brown sugar and cinnamon and set aside. Mix Bisquick and milk together with a wooden spoon until dough comes together, then turn dough onto a floured surface and knead for about 3-4 minutes. 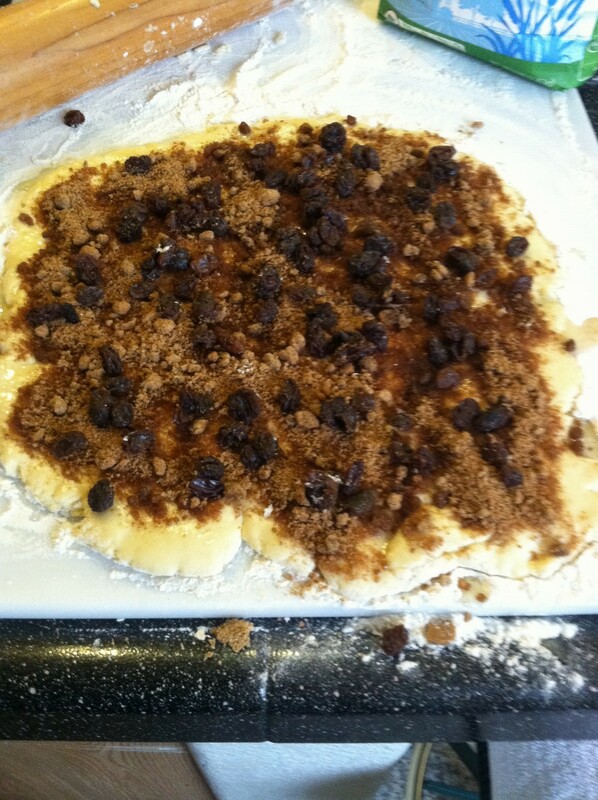 Roll dough into a large rectangle, 1/4-inch thick, and brush with melted butter. Sprinkle about 3/4 cup of the brown sugar mixture over the dough; sprinkle the remaining brown sugar mixture in the bottom of each muffin cup well. Roll dough, jelly roll fashion, tucking in the ends so that the brown sugar stays inside; slice into 12 biscuits. 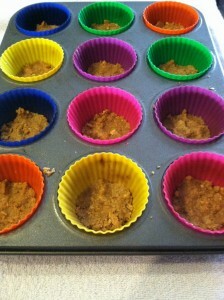 Place cut-side down in muffin cups on top of the brown sugar. Bake for 10-12 minutes, or until a toothpick inserted into the middle comes out clean. Turn out of the pan onto waxed paper immediately. 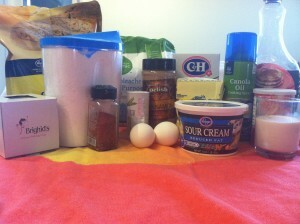 For the icing, mix together all the ingredients with a whisk until icing comes together. It should be thick, but too thick to pour. Depending on the consistency you want, you may want to add a tablespoon more or less of powdered sugar. Drizzle over the cinnamon rolls and serve warm. Hello everyone! 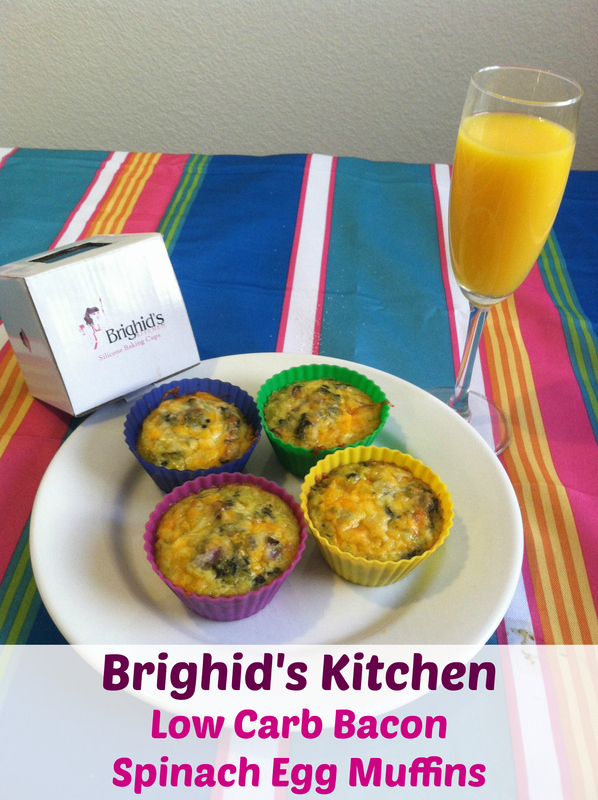 The sky is blistering blue this morning in the Vegas Badlands and I’m excited to try a new recipe with Brighid’s Reusable Muffin Cups! The most exciting part of this is that my oven is working woohoo! I had many of the ingredients at home so lets get this party started! I ended up using canned spinach instead of frozen, so we shall see if that affects the outcome. Prep time was a lot longer than the proposed 15 minutes, but as I look back, they counted some of that prep time as cooking time, because you will be doing some frying and baking as well. I bought a small basket of mushrooms, already sliced, so I kind of guessed how much would equal 4 mushrooms. The directions weren’t too complicated, just a lot of chopping and stirring. The 5 minute cooling time in the freezer for the veggies didn’t really cool them at all. When I started dispensing the batter into the cups, I noticed the heavier ingredients were kind of sticking together, so you have to slowly stir and dispense into Brighid’s reusable muffin liners at the same time. I also noticed my batter looked a little watery, and though this might be a result of using canned spinach versus frozen. I did drain as much as possible and just hoped the eggs would do their job an bring everything together. I scattered the remaining cheese into Brighid’s Reusable Muffin Liners and put them in the oven. I looked at the muffins halfway through and they were looking good. When the buzzer rang at 20 minutes I took them out and let them cool and took pictures. I finally was able to sample one. OH wow, they are so good. I am so happy and I have 12 of them all for me! 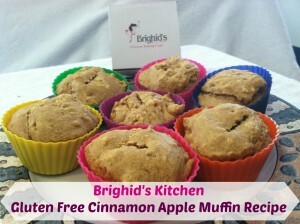 I stored the rest in the refrigerator with them still in their Brighids Reusable Muffin Liners. They seemed a little moist on the bottom and I hope they store well. The two that I did eat popped right out of the reusable muffin liners and there is no scrubbing of anything needed! 1.Preheat oven to 350 degrees F (175 degrees C). Spray 12 muffin cups with cooking spray. 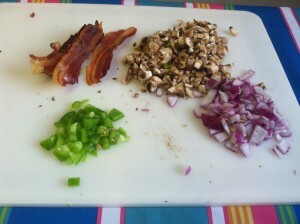 2.Cook and stir bacon in a skillet over medium-high heat until crisp, about 10 minutes. Transfer bacon to a bowl, reserving bacon grease in the skillet. 3.Combine spinach, mushrooms, green bell pepper, onion, salt, and ground black pepper to taste in the skillet with bacon grease; cook and stir until softened, about 5 minutes. Transfer vegetable mixture to a bowl and place in the freezer to cool, about 5 minutes. 4.Whisk eggs and cream together in a bowl; stir in 1 cup Colby-Jack cheese, 1/2 teaspoon salt, 1/4 teaspoon ground black pepper, onion powder, and garlic powder. 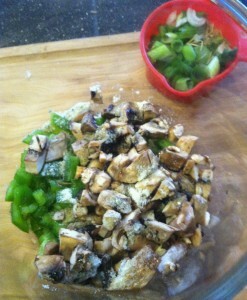 Add cooled vegetables and bacon to egg mixture and mix gently. 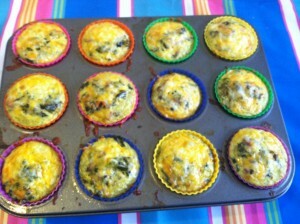 5.Scoop 1/4 cup egg mixture into each muffin cup; top each with remaining Colby-Jack cheese. 6.Bake in the preheated oven until egg cups are set, about 20 minutes. 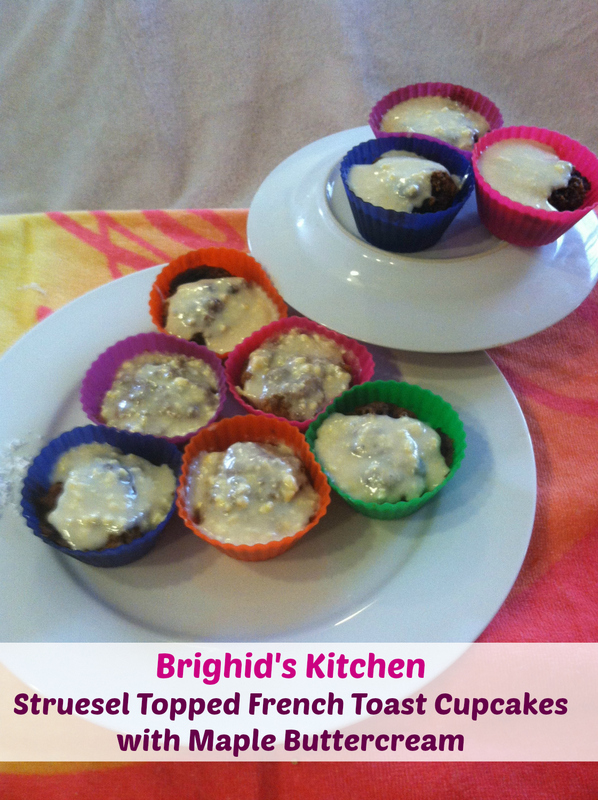 Struesel Topped French Toast Cupcakes with Maple Buttercream made with Brighids Kitchen Cupcake Liners! What a beautiful name for a cupcake! It just sounds like it embodies the true meaning of cupcake using Brighid’s Kitchen Cupcake liners I decided to go with a more complex recipe this time. I was preparing for this recipe and gathering my ingredients and Brighid’s Kitchen cupcake liners and almost went into a panic because I temporarily lost one of the cups! How am I going to do a whole recipe with only 11 cups?? It might be a good idea to buy a second box for moments like this. Luckily I found the straggler and proceeded to get ready for this “gourmet” cupcake recipe. I read the recipe a couple of times to make sure I did everything right. There are three different steps to this recipe. There is the struesel, then the cupcake, then the frosting. I wasn’t sure at the beginning if I was going to proceed with the frosting or not; but hold your breath and see what I decided to do! Ok , never mind , you can breathe! 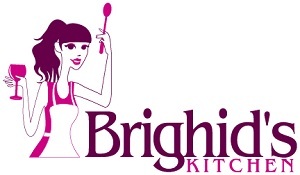 So, as I gather the cups for cooking, I wonder how many recipes I will be able to do before Brighid’s Kitchen cupcake liners start showing wear and tear or fading in color. They sure are fun to look at! So I prepared the struesel part of recipe and put it in the freezer as required. For the cake recipe I used vanilla coffee creamer instead of vanilla, margarine instead of butter and my artificial sugar again. Once I added the eggs and margarine the cake batter was getting really fluffy. This is fun! The “vanilla” was the last to go in, and made it just the right texture. So, I am using the convection oven again. I preheated the oven. 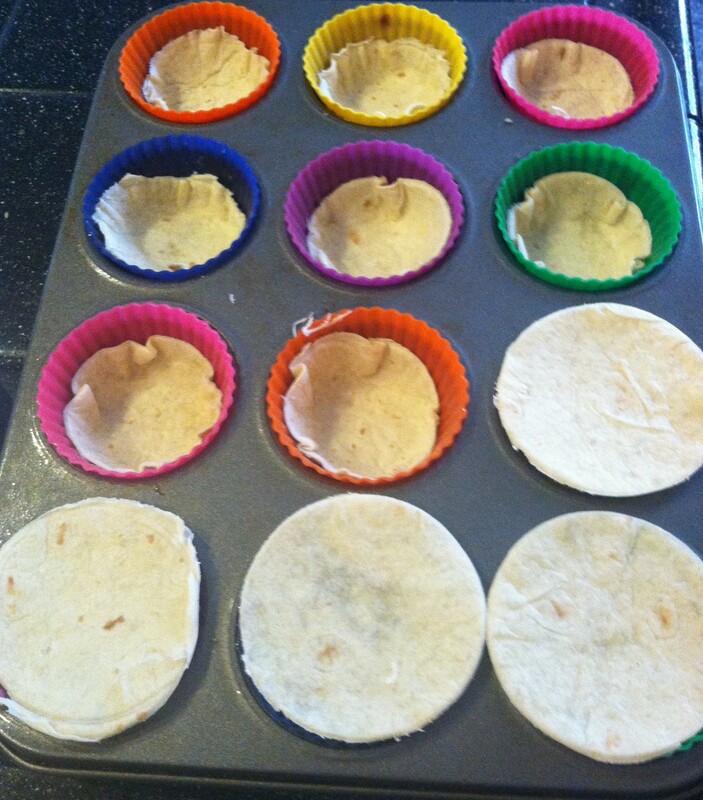 This is what the baking cups looked like before and after I added the struesel. I didn’t realize there was so much struesel mix to go around! This was starting to feel like a coffee cake! 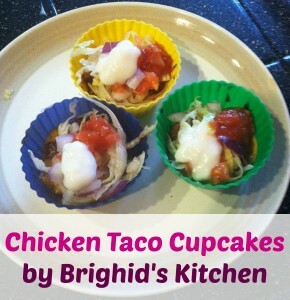 Use Brighid’s Kitchen cupcake liners! 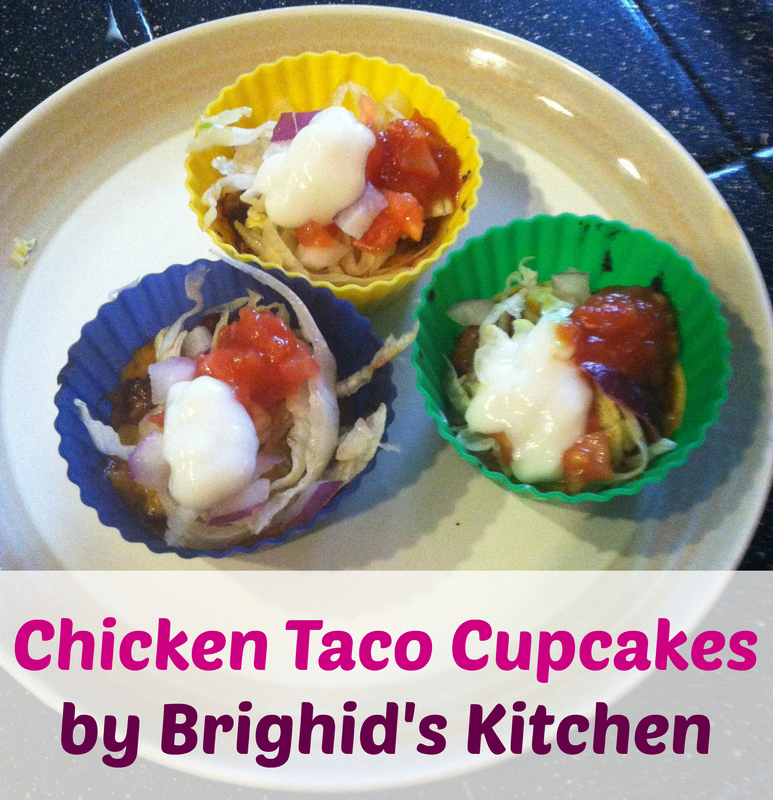 So, the Brighids Kitchen cupcake liners were really fun to watch while in the convection oven. The streusel was bubbling and sizzling and filling the whole house with French toast goodness! Here is what the cupcakes looked like in the oven and before the frosting. Ah, yes, the frosting! I decided I have come this far, I might as well try the frosting! I decided to make a smaller batch of frosting, because I don’t even know who is going to eat these cupcakes! Just remember, I am your average housewife, mom, person of interest in the kitchen. I have no standing mixer, no fancy frosting dispenser. I don’t even have an electric mixer right now. All by hand baby! To make the frosting a good consistency, I just kept on adding powdered sugar until I thought it was perfect. I think maybe I should have waited until the cupcakes were cold before putting the frosting on. Well, live and learn right? 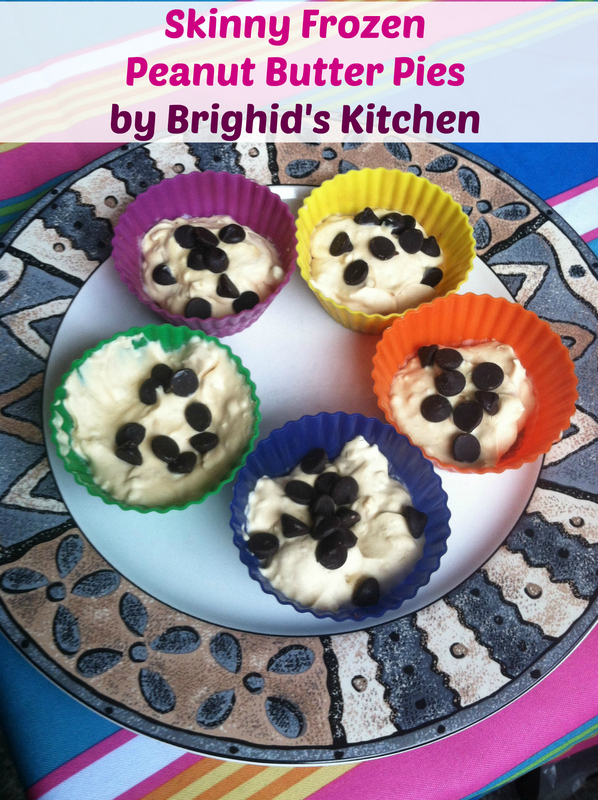 Brighids’s Kitchen Cupcake liner just appear to make this recipe so simple! It just begs you to take the cupcake out of the cup and eat it. There is no challenge to this at all. They slid right out. This recipe took about an hour and a half with prep time and cooking. Have fun with the powdered sugar! To make the streusel: In a large bowl, combine the brown sugar, sugar, flour, cinnamon, and salt. 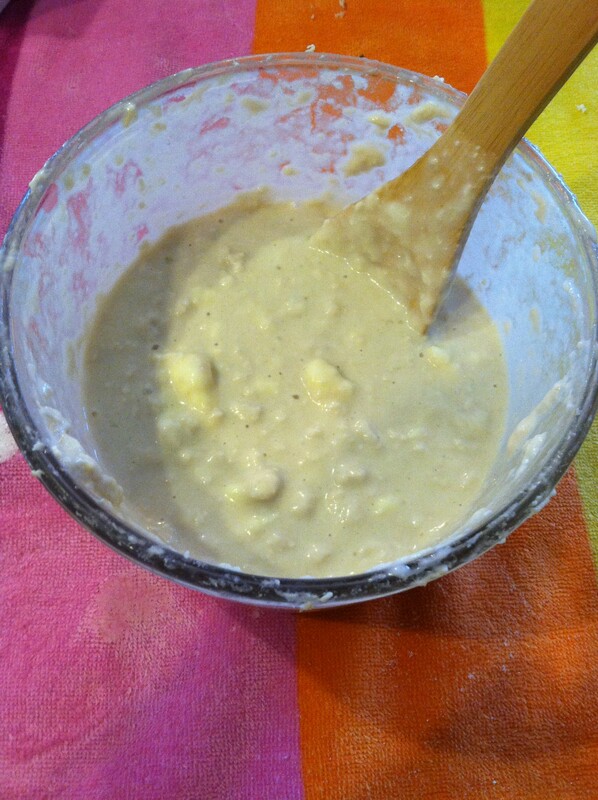 Mix the cold butter into the mixture by hand, squeezing the pieces in to mix it. Cover and freeze while you prepare the cupcakes. If you’re not using the streusel right away, refrigerate it until ready to use. 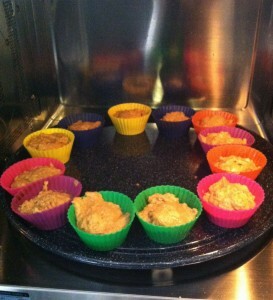 To make the cupcakes: Preheat oven to 350 degrees (180 C). 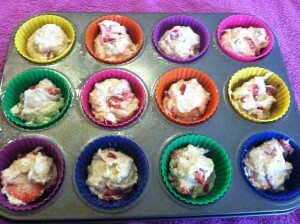 Line a muffin pan with cupcake liners; set aside. In a large bowl, or the bowl of a standing mixer, whisk together the flour, sugar, baking powder, cinnamon, nutmeg, and salt. 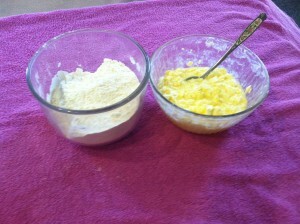 Add the butter, sour cream, eggs, and vanilla and mix well, until the mixture is smooth, about 30 seconds. 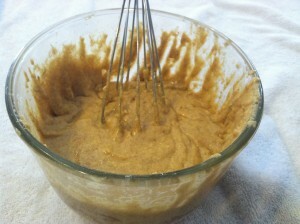 Get rid of any remaining flour by stirring the mixture by hand, with a spatula. 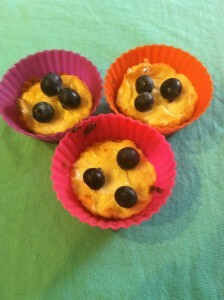 Place three tablespoons of batter in each prepared baking cup. Divide the streusel evenly among the cupcakes, and sprinkle it on each one. Bake for 20 minutes, or until a toothpick inserted in the center comes out clean. Beat the butter on high speed until light and fluffy. Beat in the sugar until combined. Stir in the vanilla, salt, and syrup. Add the heavy cream and whisk on high for 4 minutes. Welcome to another week of me trying another recipe, and you learning from my mistakes! I amso excited to try a gluten free recipe made with Brighid’s Kitchen Reusable Baking Liners. I had almost everything for this recipe except the gluten free flour. The recipe called for almond flour, but I decided to go for the “wheat free gluten free” flour, since it was half the price! I am an almond lover though! Also, the first store I went to didn’t have almond or any kind of gluten free flour. The reason I was excited to try a gluten free recipe because I suspect I have a sensitivity to gluten. I was on a very strict low carb diet for 2 years and lost 70 pounds. After that I get really bad heartburn every time I eat anything with flour or chocolate or both. So I try to stay away from the flour. I also used regular honey instead of the agave, which may affect the gluten presence. While I was at the store I also looked at cupcake frosting options and dispensers, but we will explore that next time. 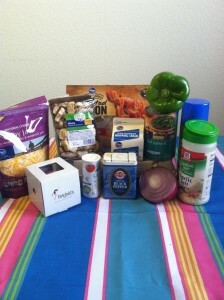 So the ingredients were real simple and real basic to assemble and mix. There was nothing complicated about the recipe. The batter was a perfect size for the 12 Brighid’s Kitchen Reusable Baking Liners!! The dough, or mixture was not real moist, not gooey, but hearty. It kind of reminded me of wheat kernel cereal or Malt-O-Meal. Well, I preheated the convection oven once again. (Don’t even ask about my regular oven! Going on 3 weeks now waiting for a part.) So anyway, I am learning the ins and outs and third time is a charm on this convection oven. The time was way off. I had already taken 25 degrees and 10 minutes off the recipe, but still took them out 3 minutes earlier than that. So be careful with your regular oven. The fork came out clean when I tested it. The appearance of the muffins is a little odd coming out of the oven, kind of like frozen dough. I let them cool and they tasted great! It kind of tastes like applesauce cake but very thick and filling. The best part was no heartburn! So follow the directions and I think you will be happy with this pretty simple recipe. It feels like Brighid’s Reusable Baking Liners get better with age! This was, by far the easiest food to remove from the cups, and washing them took seconds! I hope your spring has sprung where you live! See you next time! Preheat oven to 350 degrees. Line 12 muffin cups with paper liners. 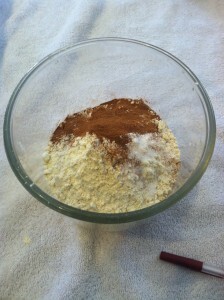 In the bowl, whisk together the almond flour, baking powder, baking soda, ground cinnamon and salt. In a medium mixing bowl, whisk together the eggs, agave, vanilla extract and apple sauce. 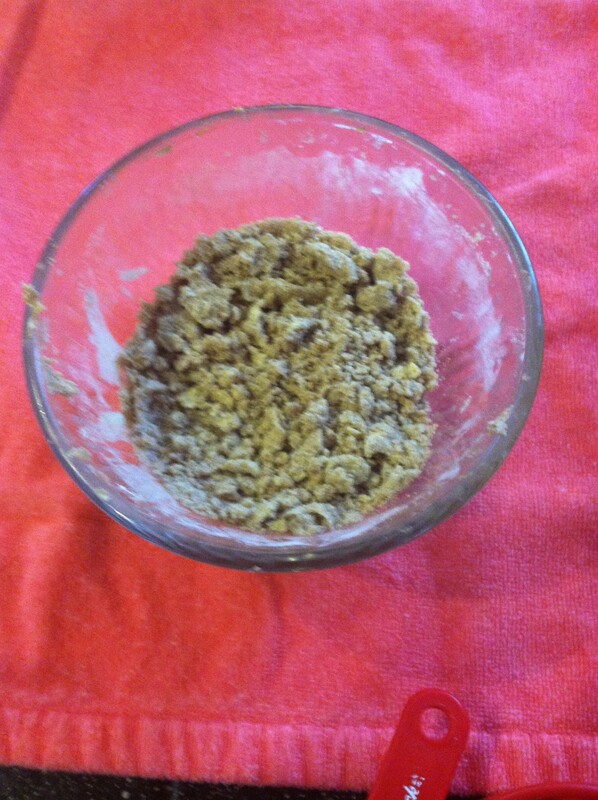 Stir the applesauce mixture into the almond flour mixture and blend well. 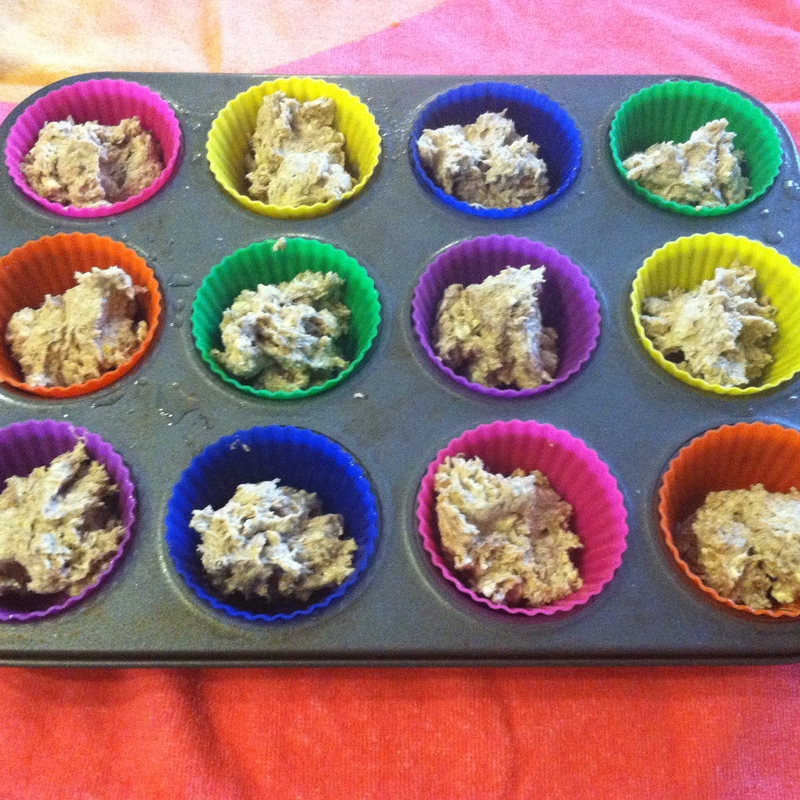 Divide batter evenly among the prepared muffin cups. Bake for 25 – 35 minutes or until a toothpick inserted in the center of a muffin comes out clean. Let cool in pan for 15 minutes.